As Gregg mentioned, we had a fun weekend staying in Wells and detecting the site. I arrived Friday evening in Wells, and left for home from the site Monday around 11 am. 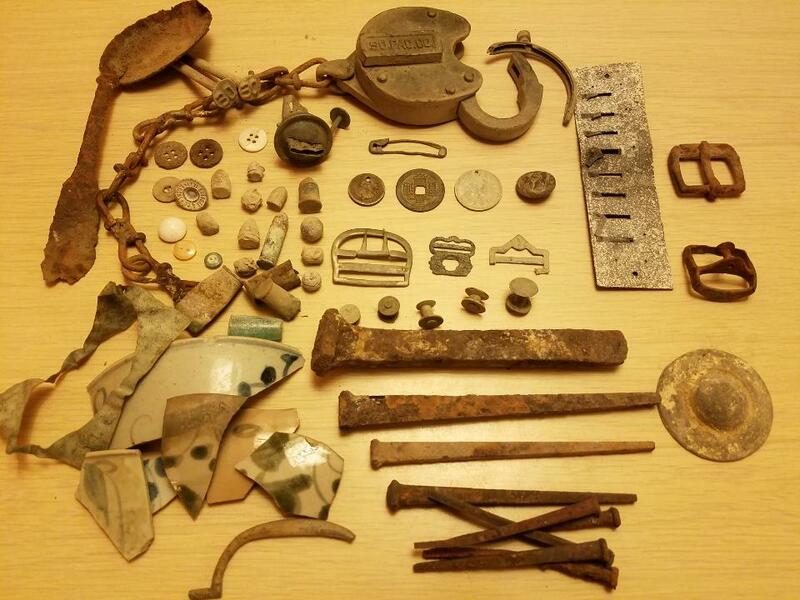 So I got a full 2, 10 hour days, and one half day detecting. The first 2 days I mostly orbited outside of downtown. I spent a lot of time on the other side of the tracks (south of downtown) and west. Sunday I even tried screening for a bit with the help of Gregg before I decided I'd breathed in enough dust. Machines I used were the Makro multi Kruzer with 5 inch coil in 3 tones, the Minelab Equinox 6 and 11 inch coil in 5 tones park 2, and the xp deus, elliptical HF coil, 5 tones custom relic program. 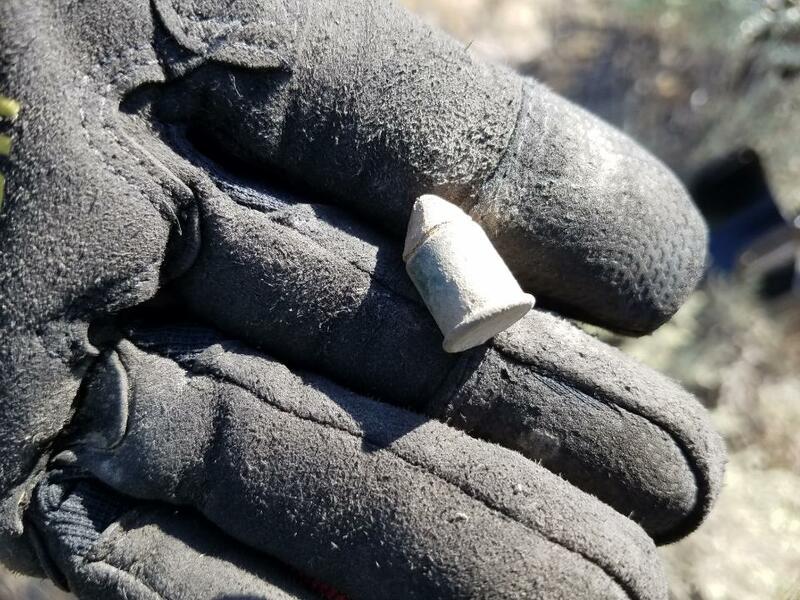 Saturday I found a nice Eagle button and an interesting rim fire pistol bullet that has been sharpened to a point, perhaps to write with as a stylus. 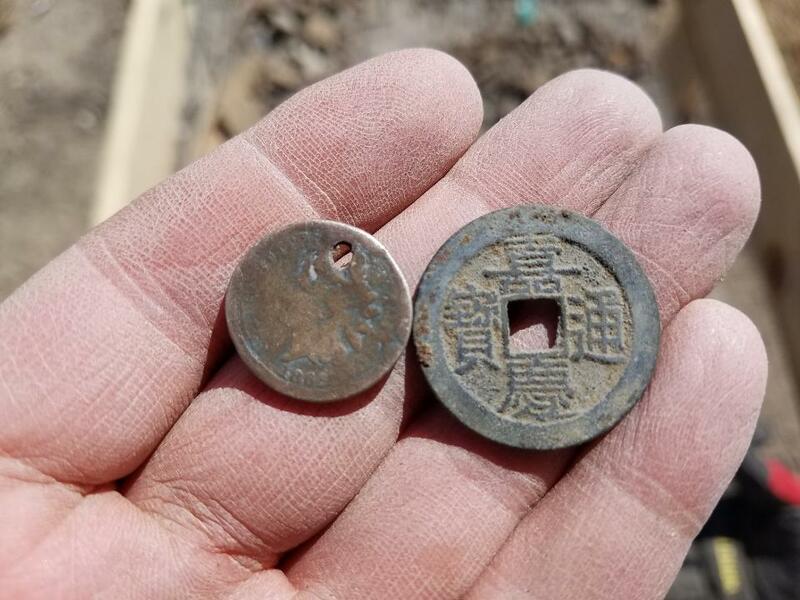 Sunday Gregg and I found a 1863 "holed" indian screening, and later I found a Chinese cash coin screening at the same location. 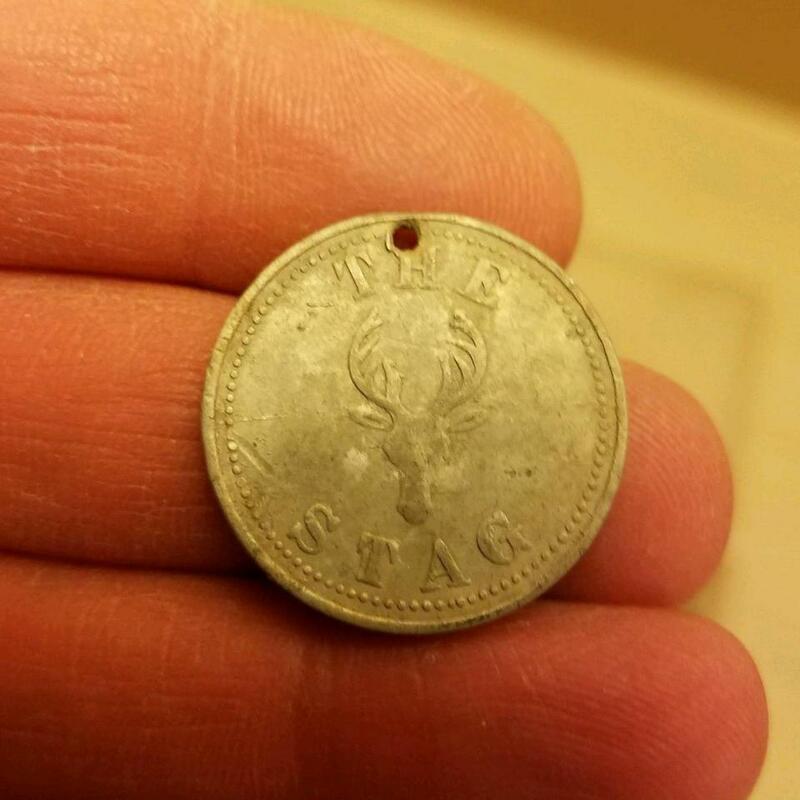 At the end of the day my Deus popped up an interesting token "The Stag", from Ft. Worth Texas. 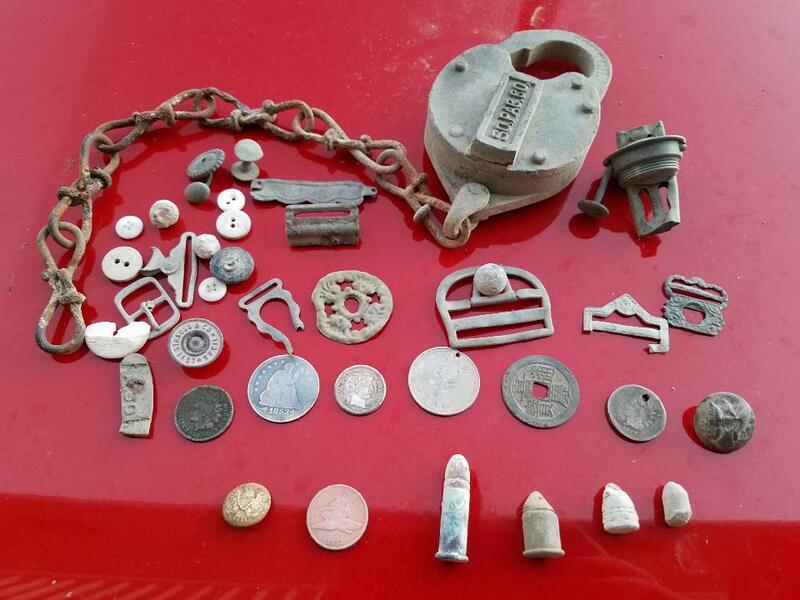 Found quite a few bullets, musket balls, and buttons, among other relics. Carey joined us in the morning both days, and he gave me this nice railroad lock to add to my collection. Monday morning I focused on the downtown area, but despite my efforts, it was fruitless. All in all, it was an awesome weekend. 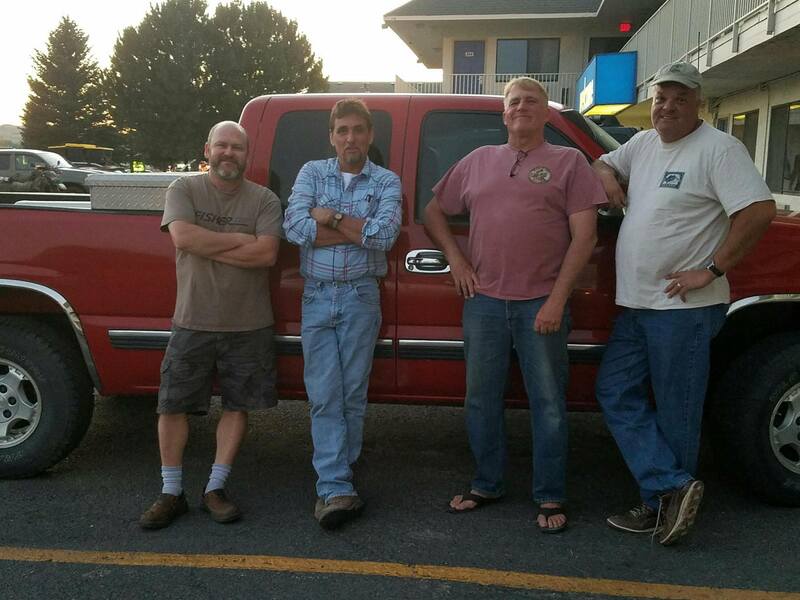 Great friends, wonderful weather, and a lot of detecting and history.